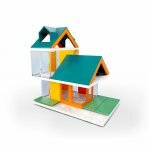 Build you own miniature colorful home with this house building kit. 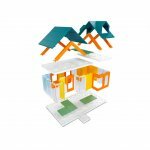 Explore multiple design possibilities using unique components inspired by real building forms and fun colors used in architecture. 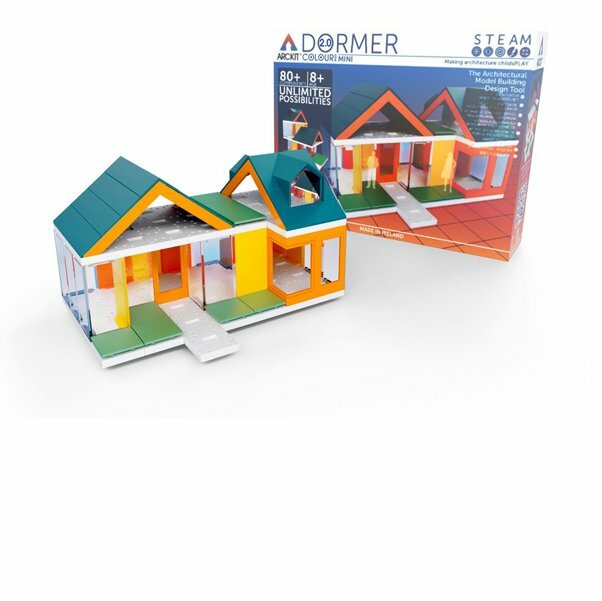 This set is perfect for budding architects to spontaneously bring their designs to life.